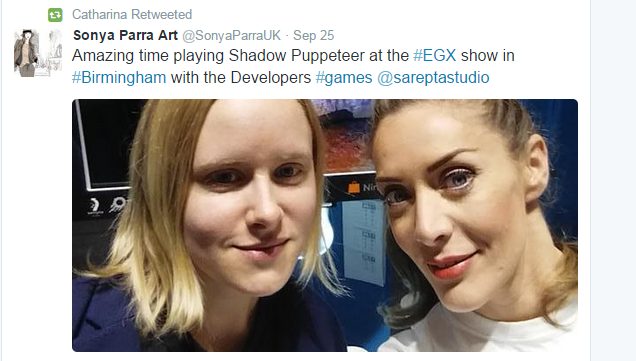 A little while ago Catharina and Marianne went to Birmingham to showcase Shadow Puppeteer at Nintendo’s EGX stand. Throughout the years, they have attended many expos so in this blogpost they are sharing their experience and will provide many good tips and tricks on how to plan and execute a successful trade show. Over the 5 years Sarepta has been making games, we’ve attended quite a few conferences and trade shows. 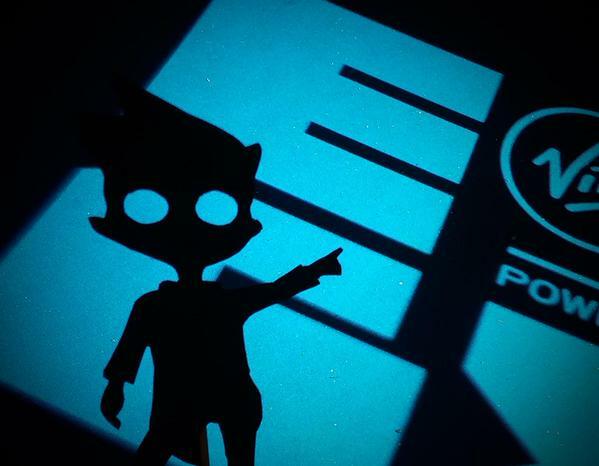 Everything from GDC in San Francisco to Nordic Game Conference in Malmo. Each event is a little different, and it can be difficult to know what to expect if you’ve never been to one before. 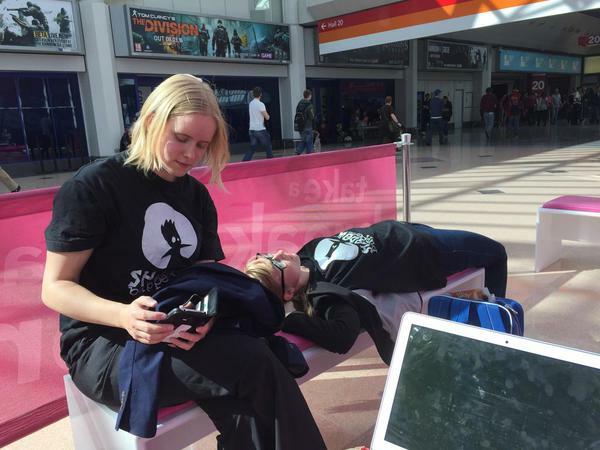 September 24th – 27th we went to Birmingham and attended EGX. 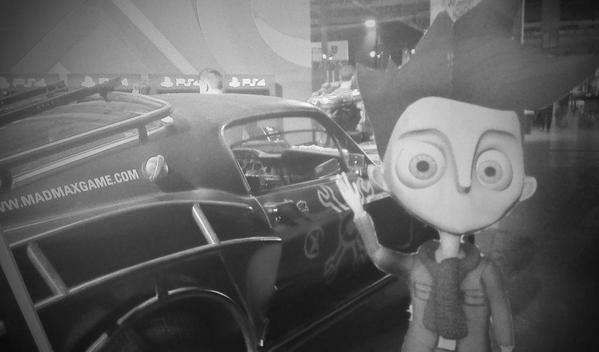 At EGX, UK’s biggest video games event, visitors can find the most anticipated console and PC games. The event also offers presentations by game designers from world renowned studios, areas dedicated to esports, the opportunity to meet and chat with game creators and loads more. 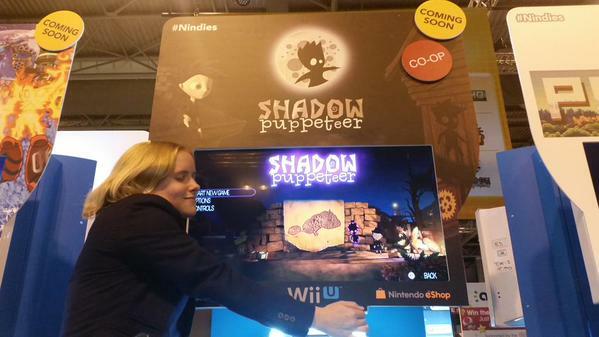 We were attending as one of the “Nindie” developers invited by Nintendo, showing off Shadow Puppeteer on Wii U. Nintendo provided hardware, a booth and helpful volunteers who manned the area. The place was packed with people wanting to try out the newest games and talented developers that wanted to show off their products. 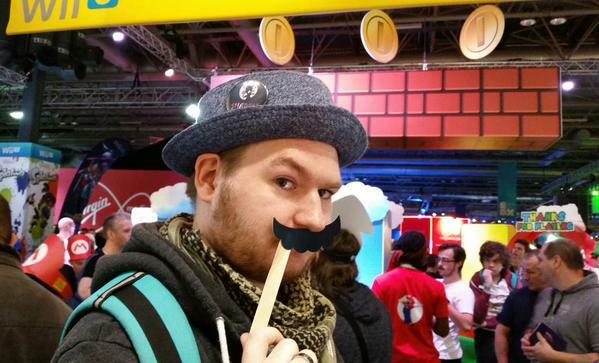 EGX was one of the best trade shows that we have attended, mainly because of Nintendo’s setup and the help of our amazing producers Snow Cannon Games. We also see, that our own planning process is key to having a great event. Going to a trade show is so much more than showing up with a game and a hopeful heart. Yes there are actually things to think about this long before a trade show, if you want to really get everything you can from it, so make sure you know what you want to go to and plan well. Apply for all relevant awards connected to the tradeshow – Award submissions vary widely in price (many are free), requirements and submission deadlines. If an award is free there is no reason to not apply. Most awards are connected to a tradeshow and most tradeshows have some award ceremony scheduled. 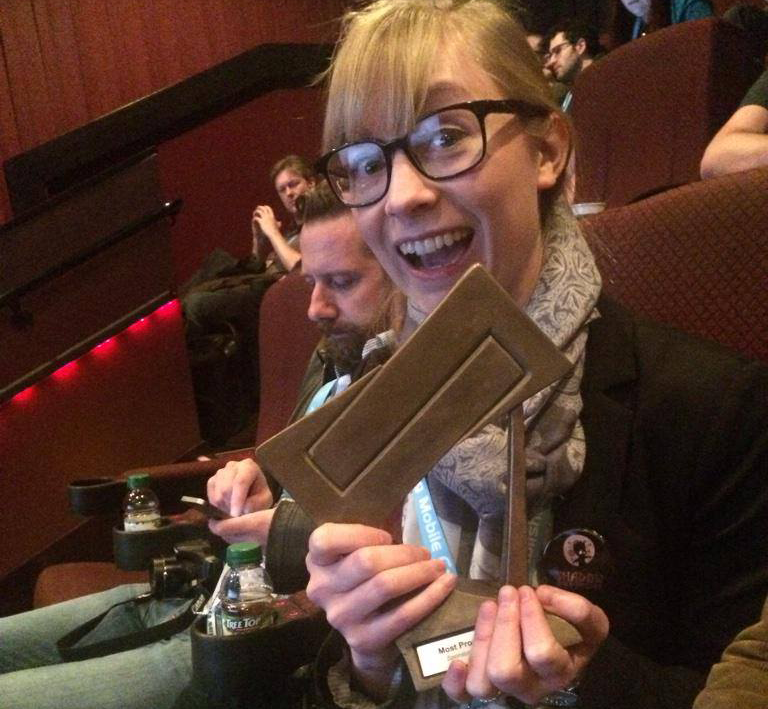 There is nothing better than attending a trade show and coming home with a shiny award. Start looking for accommodations – Couch-surfing, Indiecouch, Airbnb, hostels or hotels. There are many options, but be aware: If the event you are attending is well known, then the accommodations (especially the less expensive) will be taken pretty quickly. Get in there and get your reservations early. Another tip is to reach out to the indie community in the area to see if someone might want a guest. Game developers usually love each other so they might say yes. Are there any other larger exhibitors you can join? 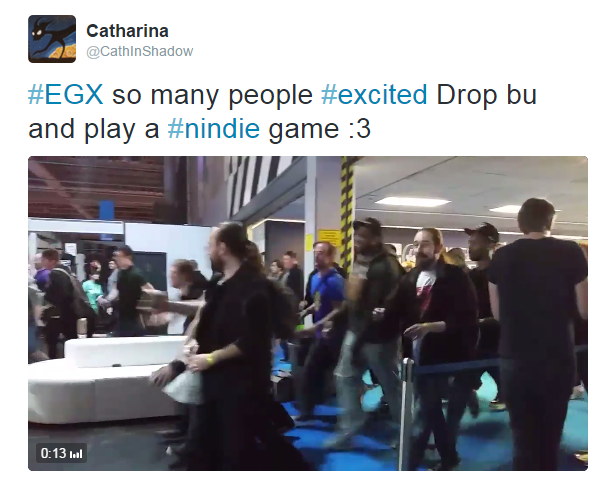 – Nintendo, Microsoft, Sony, Nvidia, Unity, Unreal and various country-specific or indie booths. There are several companies or communities that you might have some connection with due to your nationality/gender/organization type, due to the game using a specific engine, or due to the game being planned for a specific platform or console. Get in touch and see if there might be some room for you to attend a pavilion/booth. Worst case, there is not enough space for you, but you have made someone take notice of your game. If applicable: Order expo tickets – “Early bird” might save you a lot of money. Press meetings – Press gets booked early, do NOT wait longer that the month before with trying to book meetings. Of course you also will want to keep trying to book meetings up until the event and even during the event itself. Try to book as many press meetings as possible. Remember that the venue may be large, so estimate extra time to walk to and from meetings (plus, some journalists may be running a bit late sometimes). Giveaways – If you have the budget for it, print something small that you can give away to the visitors. The longer you wait to get this done, the more costly it might get. Printing can take a while, order early. Our favourite is button badges. 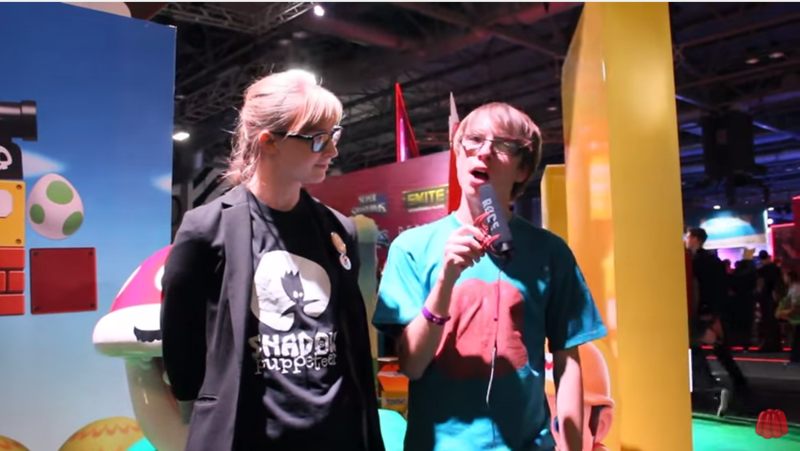 We gave away 2500 at EGX. But remember to take into account what kind of crowd is attending the event. Consumer events are better for giveaways than industry events (like GDC). Tell people you are going – Make a big deal of your attendance. Be visible in social media, let people know where you are going and that you, and your game, will be available for people who drop by. Make sure you have a Demo suited for the event – The demo must work for a crowded & loud environment where people have limited attention spans. Don’t start it off with a long story introduction! There is also no need to make the demo long. Unless people have been psyched to see YOUR game they are likely to try something, but only for a limited time. Unless you have brought a headset or really insane speakers (these might annoy other devs), then no one will be able to properly hear your music. From the different demos we have tried out, the shorter one seemed to make people more content. They want to be able to finish the demo, it gives them a sense of completion. Also, something short and sweet leaves them wanting more. You could end your demo with a short video compilation of “more to come” if you have super cool stuff (complex gameplay, scary boss battles, sweet cutscene graphics etc.) 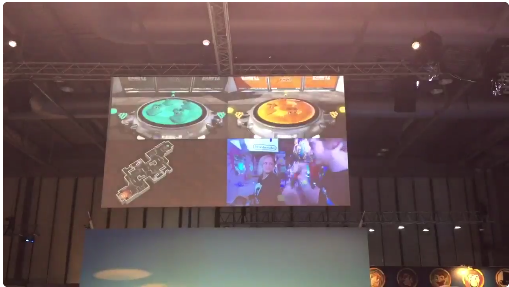 that you want people to see but that might be too challenging or time consuming for a expo demo. Booth design – Consider the shape, size, location and lighting of the booth. This information can be difficult to obtain. You need the design of the booth to grab people’s attention. Make sure you communicate everything that’s important clearly (for instance with our game “CO-OP” is important). Remember that when it gets crowded, anything below eye level is difficult to spot. Your design doesn’t have to be expensive or fancy, there are several options for “low buget” and “do it yourself” – solutions. Make a schedule – Have your schedule ready for the whole event. When making appointments with Google Calendar make sure to take into account any differences in time zones. Print out your calendar and important notes as you never know when technology might fail you. – Social media contests where people can win stuff, swag, your game etc. – Stunts to get people to write about you/ your game. Business cards and signs – Make sure you have updated business cards. If you don’t you will regret it. Also print out a nice sign to briefly explain the game and controllers. You might not be there all the time. Update your schedule and keep it with you – Make sure to keep your schedule updated and have your schedule ready and available before each day. Take screenshots in case you lose internet connection, note it down on paper in case you run out of power. Have a power bank at the ready – If you’re doing things right you will use your phone and/or tablet a lot. Having that possibility of charging on the go is incredibly valuable! Eat & drink – There will never be a good time for taking a break and eating and drinking. Do it anyways. Bring your own food/ drinks as the queues are long and food expensive. Reach out – Whether it’s talking to other exhibitors or visitors most people appreciate meeting new people. 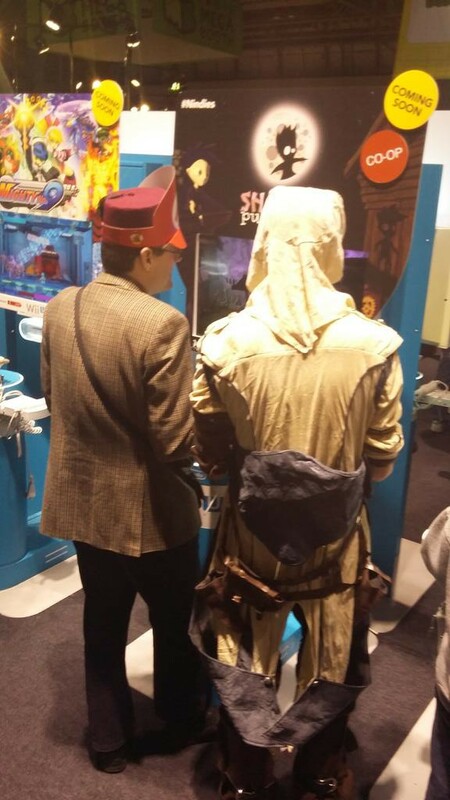 And it’s highly effective to just ask people passing by if they want to try the game. Hand out giveaways – Giveaways should be available at your booth at all times. But it’s also good to carry some around (in a bucket or basket) and hand out to people. Especially if there are long queues. Giving out a badge is also a good conversation starter. 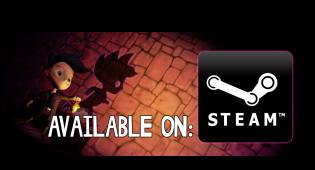 “Have you heard about this game before? No? Well, it’s a –” And off you go! Make an effort – Shower, brush your hair and smile. Making an effort with your appearance (and hygiene) will make other more inclined to talk with you. And it’s always good to be camera-ready since you never know when a writer will come by asking for a video interview or a photo. It’s not about vanity, it’s about representing your company and projecting the right image. Check your emails regularly – Your meetings might get shifted, someone might be requesting additional information for an article. Swift replies can be the difference between a successful meeting or a missed opportunity. Remember, most of the time there is no wifi connection at the expo area so you need to be able to go out once in a while to get a connection. Carry lozenges – Spending time at a booth at a trade show requires you to talk a lot. And sometimes you need to shout to make yourself heard. This will take a toll on your voice. Keeping some lozenges at the ready is a good way to soothe your throat, and you can make new friends by sharing with others who need them. Painkillers – Long days, long nights, crowded noisy places. These things can be enough to give anyone a headache. Be prepared by bringing some painkillers to the event. Press hunting – If time, go press-hunting (identified with band/badge/equipment) – give out your card, maybe with some swag if it shows off your game in a memorable way. Tools – Paper and/cardboard, marker and tape, you never know when you get a brilliant idea and want to set something up. Buddy system – Give out your number to adjacent developers so they can call you/ send message if someone important drops by your booth when you are not there. Do the same for them. Take the stage – If there is a stage with something cool happening on it, ask the people there to announce your contest. Approach them and ask, they might want to do it to get some variation in their schedule. Or join in on the events on stage. Thank people – Whether it’s press, other exhibitors, organizers, be sure to thank everyone who made your experience at the event a good one. Reach out – Make sure to reach out to the other developers you met. They are great people and getting to know them better will definitely be worth it. Share press coverage – Share it on your social media sites. There is a lot to think about and a lot of preparations that can be done, but you should enjoy the experience and not let it stress you out too much. Leaving the safety of your office and travelling into the unknown masses is one of the things that makes this fun and exciting. 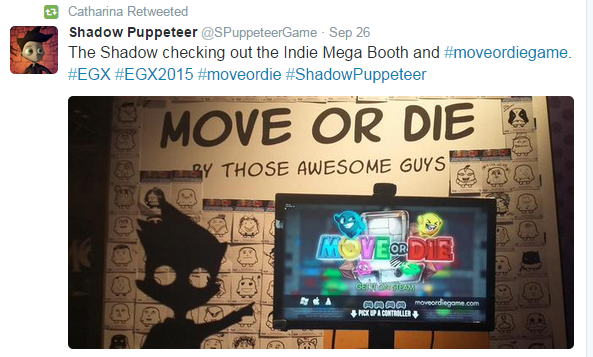 We had a great time at EGX, meeting up with writers, developers, distributors, chasing down press and visitors. Talking with our fans and potential fans, learning a lot and getting to know some great people. 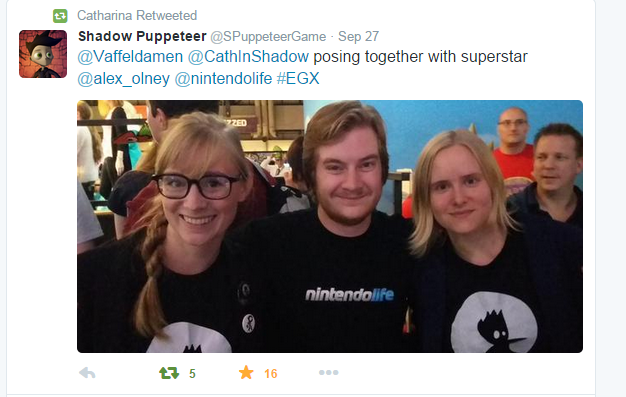 These were our insights from EGX. We hope they can help you out. Please leave a comments or questions below if you have any. We’d love to hear about your own experiences with trade shows, too! 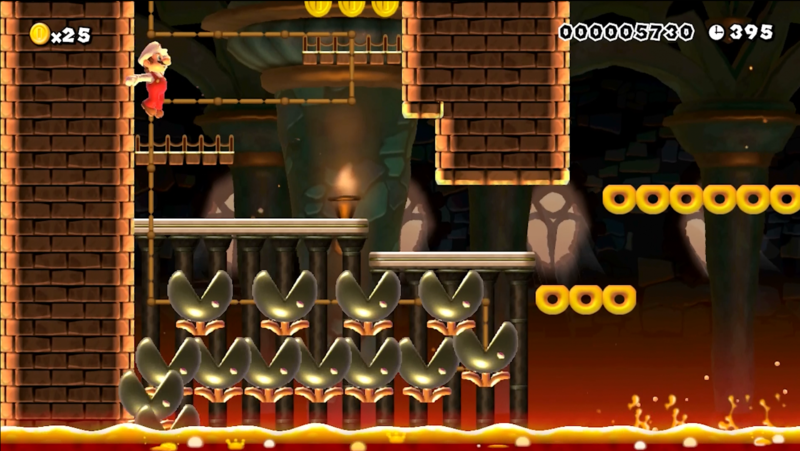 Join us next time on the blog where we will write about level design and our experience with using Super Mario Maker to try to create a level reminiscent of Shadow Puppeteer. Generating social media buzz or announcements for your booth is a good way to get attendees excited and inform them about the trade show! Thanks for sharing the tips.